Laid down, 24 February 1944, at Quincy Barge Builders, Quincy, IL. 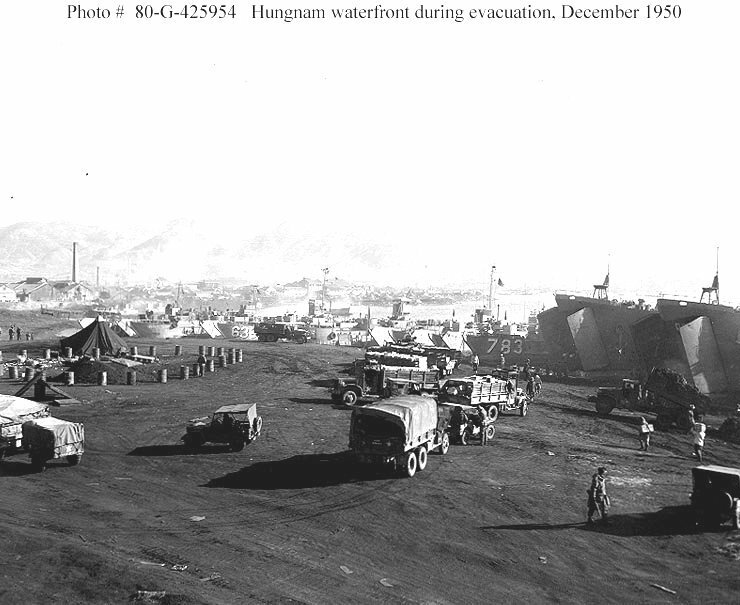 84k Amphibious shipping beached on the Hungnam waterfront during the evacuation, December 1950. Ships present are (from left to right): LSU-520, LSU-638, LSU-742, two unidentified LSUs, LSU-783; and two Japanese-manned LSTs. Note trucks and jeeps in the foreground.